Tax-saving software, self-paced online courses, and a network of CPAs at your disposal … it’s a smart investor’s dream. Discover WealthAbility! Tom Wheelwright has spent the last three decades of his life studying and practicing tax law. On top of that, he is a Certified Public Accountant and a best-selling author. Did we mention he is also a tax advisor to legendary Rich Dad Poor Dad author Robert Kiyosaki? Now, he is putting his expertise to work for YOU. WealthAbility is a global network of CPAs and a platform of educational tools. Tom created the platform to share innovative strategies for reducing taxes and creating wealth with investors like you. With WealthAbility, design your own plan to achieve your financial dreams … all while working hand-in-hand with vetted advisors to legally reduce your taxes by up to 40 percent. WealthAbility’s network of financial experts help you optimize your business structure and operations to maximize your tax incentives. You don’t need Wall Street to take control of your money. Access tax-saving software, self-paced online courses, and free articles and advice from Tom and his team. Tap into the WealthAbility resources by completing the confidential form below. 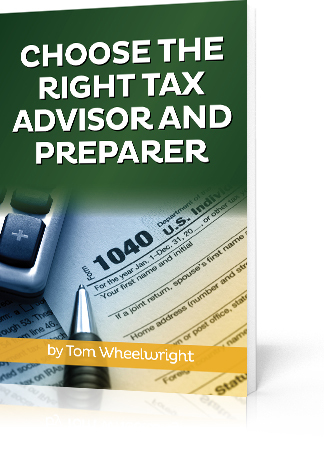 You will receive your own free copy of How to Choose the Right Tax Advisor and Preparer. BONUS! 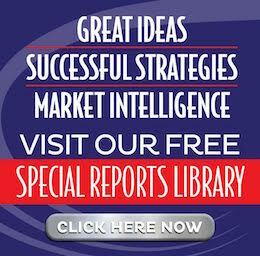 You’ll also receive information on how to sign up for Tom’s FREE Weekly Report … the No. 1 source for tax-saving and wealth-building strategies. Income inequality. It’s a political cause and an economic reality. But we’re not here to talk politics. Because it doesn’t matter if we think it’s fair or not. We’ll leave that to the politicians and activists. Income inequality is what it is. And while our politics might affect our voting habits … the economic reality is what drives our investing decisions. So what is income inequality … and what does it mean to real estate investors? Great question … so glad you asked. … with a big gap between the masses at the bottom who average much less income per person. Sadly, this topic often descends into an argument of accusations between political viewpoints … a blame game. They don’t work. They don’t save. They don’t invest. They don’t take risks. They’ve made their own bed. The game is rigged. It takes money to make money. The rich are greedy selfish exploiters of the little guy. Ironically, both are probably right … and both are probably wrong. But again, we’ll let the politicians and activists fight over all that. Investors are best served to set all that aside … and simply focus on the opportunities inside the economics and demographics of income inequality. For many years, Rich Dad Poor Dad author Robert Kiyosaki has been saying the financial system is helping the rich get richer, while the poor get poorer … and the middle-class gets squeezed. It’s like a dumbbell … where one end is fat with the wealth of the rich … and the other is fat with the poverty of the masses. The skinny part in between is the middle-class. But of course, all this has a direct impact on real estate … and should be taken into account when making real estate investing decisions. If you’ve been following us for a while, this is probably old news. … as well as higher-end opportunities in resort property and residential assisted living. That’s working both ends of the dumbbell. Smart investors should probably also watch migration patterns created by income inequality … and changing government policies. Obviously, if there’s “more demand for homes at the … lowest price points” … it doesn’t mean people need to live on the streets of high-priced markets like San Francisco or New York. They can move … to the suburbs of affordable states like Utah, Nevada, Arizona, Texas, and Florida. And they are. In 2014, Florida passed New York as the third most populous state. It’s one of the reasons we’ve been high on the Central Florida market for quite some time. A big part of Florida’s growth is from retired and wealthy boomers heading south for warm weather, affordable housing, and NO state income tax. Of course, when they move … they bring their incomes and spending with them. One state loses. The other wins. So while affluent retirees might not rent their home from you, they’ll spend money with the local businesses who employ your tenants. The point is money moves people … and policies moves money. So whether you love, hate, or even ignore a policy … it affects the movement of money and people … which affects real estate. Lastly, it’s wise to also consider the systemic causes of income inequality … and put them to work for you. The global financial system is inherently inflationary. It’s the stated goal of all central banks … most notably the Federal Reserve … to CREATE inflation. That means anything denominated in currency (dollars) is destined to rise in dollar price over time. In other words, as dollars lose value … it takes more of them to buy the samethings. That’s inflation. That’s why a typical house in the U.S. which used to cost $20,000 is now $200,000 … even though it’s the SAME house, only older. So from that standpoint, the system is rigged. People who own assets pull further ahead of those who don’t. But people who don’t have assets like real estate, stocks, and commodities on their balance sheets get no paper wealth from inflation. Relatively speaking, they get poorer. Over time, the poor get poorer in real terms also … as the costs of housing, energy, food, and products of all types goes UP faster than their incomes. The financial system is the ROOT cause of income inequality. It’s also the fastest path to wealth for those who can use long-term debt to acquire long-term income producing assets … like real estate. Sure, we know there’s cronyism, regulatory barriers that protect big corporations from competition, tax loopholes, insider trading, and all kinds of unfairness helping the rich get richer. You need to be an insider to play that game successfully. But real estate is available to almost everyone. It’s a sacred cow of sorts. It’s hard to manipulate, and most everyone in power protects it. So the sooner Main Street pulls its money out of Wall Street and takes advantage of real estate … the sooner the playing field gets flatter and fairer for Main Streeters. It’s why we love real estate. It’s why we teach syndication. MAYBE someday the politicians will quit arguing with each other and really fix the system. We’ll keep breathing in and out. Meanwhile, we encourage YOU to take what the system gives you … and do it in a way that adds a lot of value to Main Street. This may be one of the most interesting times in economic history. The pace and amount of change is creating significant challenges and opportunities for both investors and entrepreneurs … not to mention policy makers. It’s fun to watch, hard to keep up with, and impossible to avoid. The changing future of money and wealth will affect everyone … believe it or not, like it or not, prepared or not. Aside from growing threats to dollar dominance in global trade … there’s a tug-of-war going on between stimulating and constraining the flow of dollars through the economy. We recently said the rollback of Dodd-Frank might increase community lending … especially into real estate. This stimulates the economy. But the Fed decided to raise interest rates again … ever so slightly … and toss in some hawk talk (more hikes coming this year). Obviously, higher rates mean fewer borrowers qualify for loans, and those who do can’t borrow as much. This constrains the economy … and directly affects real estate investors. Earlier this year, Uncle Sam implemented tax cuts and a ginormous government budget. Tax cuts leaves more money in the hands of individuals and corporations, hoping they’ll spend it. That’s stimulating … IF they really deploy the funds. Of course, even if individuals and corporations won’t spend, the government is going to (shocker, we know). This generally stimulates the economy. Meanwhile, rising prices … led by gas prices and healthcare … and let’s not forget tariffs … mean dollars don’t go as far, so people can’t buy as much. This constrains economic activity. The dollar is strengthening because of an improving economy, rising rates, and its safe-haven status in times of geo-political uncertainty (like now). A strong dollar makes foreign products cheaper for Americans. Domestically, this can stimulate activity … if people buy more stuff … if it’s made overseas … and if it’s not subject to tariffs. On the other hand, a strong dollar makes exports harder to sell, which is a drag on sales made to foreigners. This potentially constrains cash coming into the USA. Meanwhile, a tight U.S. labor market and the rising wages we’re told will follow tends to increase people’s ability to borrow and spend. This stimulates the economy. Unsurprisingly, both consumer confidence and small business confidence are VERY strong right now. People and businesses generally feel good about their economic future. When people feel good, they spend, borrow, and invest. All are stimulating to the economy. So on the surface, the U.S. economy seems to be leaning towards growth and stability. And because a rising tide lifts all boats, real estate investors should be very happy right now too. Still, there’s an obvious tug-of-war going on between stimulating and constraining the economy. The challenge (and opportunity) is that SO much is changing SO fast. Too much stimulation is a problem and so is too much constraint. And with so much happening at once, it’s probably dangerous for an investor to put TOO much emphasis on any one thing … or prepare for only one outcome. After all, the economy is a very complex system. Investors who bought too much into the sunshine narrative leading up to 2008 weren’t prepared for a storm. When it came, many got washed away. Those who bought too much of the gloom and doom story missed out on one of the best real estate cycles in recent memory. So it’s important to listen to a variety of viewpoints … then have a plan for variable outcomes. For years, we’ve talked about the benefits of healthy tension … opposing forces tugging hard at each other. Just like an old-fashioned rooftop TV antenna … it’s the tension between opposing positions that creates stability. So we like all the debate and chatter in the market right now. It’s less confusing than comforting. It helps us see both the opportunities AND the risks. Robert Kiyosaki reminds us all the time to stand on the edge … so you can see both sides of the coin. And there’s no one-size-fits-all answer. We think it’s important to keep in mind that a strong economy and astrong financial system are two very different things. It’s like getting into a boat and thinking it’s seaworthy simply because it’s fast. A bad hull with a slow leak will eventually sink even the fastest boat. Right now, even though corporate profits are up and more jobs are being created, interest rates are rising in the largest sea of global debt in history. As we learned in 2008, when debt goes bad, financial ships can sink VERY fast. But dangerous global debt levels is only one of several concerns about what some consider to be a fragile financial system tasked with supporting robusteconomic activity. Will it hold up? What if it doesn’t? How will you know things are starting to break? What will you do if it does? Sunshine is awesome and we should all enjoy it. But it’s always smart to watch the weather reports … and pack an umbrella just in case.